Swordfish are the most mysterious of the billfish family. Swordfish (Xiphias gladius), often referred to as broadbills or broadbill swordfish, are highly sought after by offshore anglers around the world. 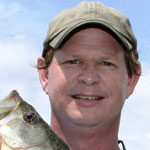 They are one of the more mysterious and elusive species of fish, and are often pursued by anglers at night. These fish spend most daylight hours very deep, perhaps due to their sensitivity to light. At night, they move up in the water column much closer to the surface. Swordfish are listed as members of the billfish family. But this classification is somewhat deceiving. Although they do share many similarities with sailfish and marlin, swordfish are actually the sole member of the Xiphidae family. Although they aren’t often seen near the surface during daylight hours, on rare occasions they do bask on the surface in the sun or make huge leaps out of the water. Biologists believe these are attempts to rid themselves of pests like remoras or lampreys, which attach themselves to swordfish and other species. Swordfish are very isolated creatures. They do not travel in schools, but choose to swim alone or in distant proximity of other swordfish. Until recently, anglers and scientists believed swordfish fed only at night. However, research has shown that they do feed during the day as well. They stay much deeper (up to 2000 feet deep) during the daytime. 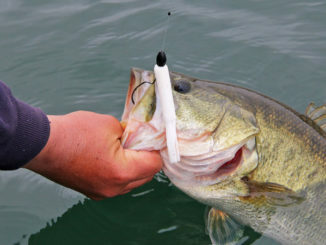 But anglers have learned how to catch them in deep water with the aid of very heavy weights and glow sticks or L.E.D. lights located near the bait. 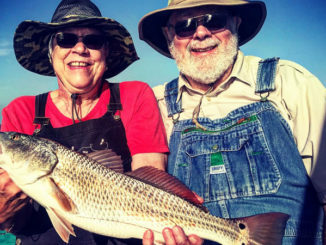 It’s not uncommon for anglers to use 10 pounds of weight on a single line. Many anglers still fish for swordfish at night, when the fish commonly move up to within 300 feet of the surface. Common baits for swordfish are squid and whole fish, either live or dead. Some artificial lures are also used, and usually have built-in lights. Spawning for swordfish usually takes place in water that is warmer than 75-degrees, most often during spring and summer. 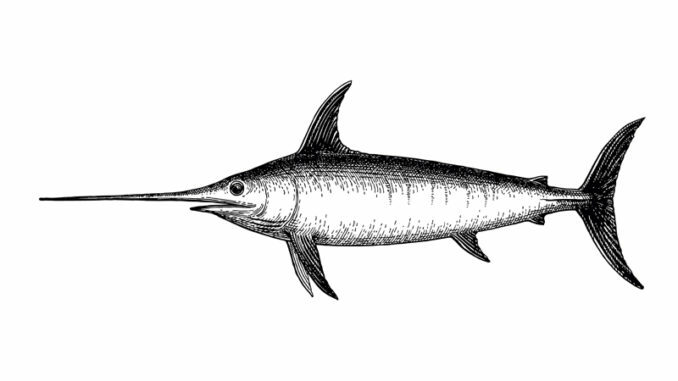 Swordfish get their name from their wide, sword-like bill. This is shaped differently than those of other billfish, which have relatively thin and pointed bills. While their bills are sometimes used to slash at prey, swordfish mostly rely on their speed to chase down meals. Their bills are very sharp, however, and have been known to slice through wooden-hulled boats after being harpooned by fishermen. These fish are hearty fighters, and hooking into one often results in a battle that lasts for several hours. Outdoor writer Zane Grey, who fished for and wrote about swordfish in great detail, once reported fighting a swordfish for 5 hours, then observing the fish chasing down and eating flying fish, apparently unaware and unfazed that it was even hooked. South Carolina’s state record swordfish weighed 500 pounds. B. H. Peach III of Pawleys Island caught it out of Georgetown in 1978. The North Carolina state record swordfish weighed 441 pounds and was caught by J. Horace Murray, Jr. in 1979 out of Wrightsville Beach. The world record swordfish was caught off the coast of Chile in 1953. 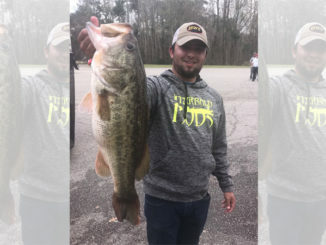 It weighed 1182 pounds and was caught by Louis Marron.